Start your Tolleson Windshield Replacement Quote or Claim Now! 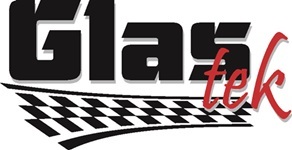 Glas Tek is a proud Tolleson windshield replacement and auto glass repair mobile service company. We provide auto glass prices online, 10% Rewards, $50 CASH NOW insurance claims, free rock chip repairs, nationwide car windshield warranty, military and senior discounts, and mobile for free to Tolleson, Arizona. We are a preferred Tolleson windshield replacement shop for all major insurance carries including: Hartford, AAA, Alliance, Encompass, Farm Bureau, Metlife, Allstate, Safeco, and many more. Tolleson is just one of the many places that Glas Tek visits each and every day, if you have a busted windshield or carry a windshield that needs repair please call us today to set up an appointment with one of our experienced and friendly representatives. Please do not take the risk of driving with an unsafe cracked, scraped, or broken windshield I promise you it’s not worth the risk of one of the hefty tickets the states offer it’s unsafe drivers and is most definitely not worth the risk you take when you drive with one of your beloved ones. If you have a damage windshield and you feel that the repair or replacement of that auto glass will be too expensive, please take the time and call us I assure you, you will be surprised of how affordable the replacement or the repair of auto glass can actually be. Glas Tek is a windshield replacement and auto glass repair company that prides themselves on their world-class customer service and the absolute best value. We serve all customers with unsurpassed high quality windshield replacements and yes we even come to you, the residents of Tolleson Arizona. We serve all over the valley every single day, and we have some of the most skilled glass technicians out there, who have at least five years in the business of auto glass replacement and windshield repair. So who are you going to trust with your safety, in a rollover accident the windshield is about the only thing that is keeping you protected from the roof coming in. So just remember safety comes first, and when it comes to safety, value, and service your best bet is Glas Tek. 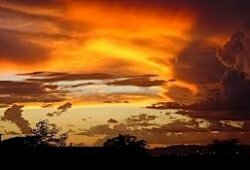 Tolleson is a beautiful self-contained community that is located ten miles west of downtown Phoenix. The town has always been a friendly, family oriented, community that has diverse growth and continues to enrich the quality of life to all it’s residents everyday. It was incorporated in the year 1929, is measured about six square miles and has a strong industrial and commercial base. The city has a substantial manufacturing structure and is also a strong distribution hub for many delivery companies that distribute products to many southwestern markets and the primary reason why this location is used for delivery companies is because it’s located near the loop 101 and the I-10. Some of the many large employers that are located in Tolleson are Kroger, Albertsons, Sysco Food Systems, Salt River Project, and Sunland beef.